We train and support people from all sectors and backgrounds to restore and conserve tropical forest landscapes using strategies that support biodiversity and livelihoods. Learn about our approach. Access cutting-edge research, hands-on experience and local wisdom for your conservation and restoration work. Get world-renowned training from anywhere. Connect with a global network of scholars, professionals, and peers. Find support to apply or share what you’ve learned from ELTI in the way that makes the most sense for your area.  Our field-based training events currently take place in Brazil, Colombia, Panama, Indonesia, and the Philippines. Learn more about where we work.